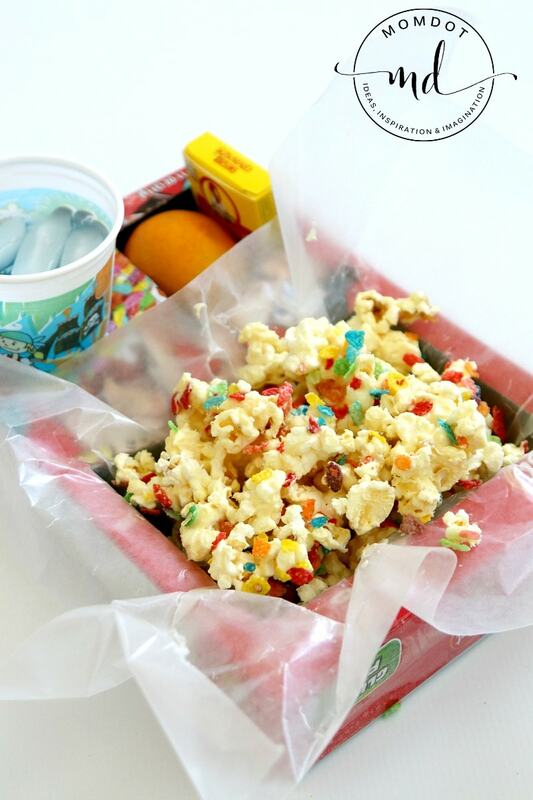 Home » Crafting » Make your own Movie Theater Snack Box! 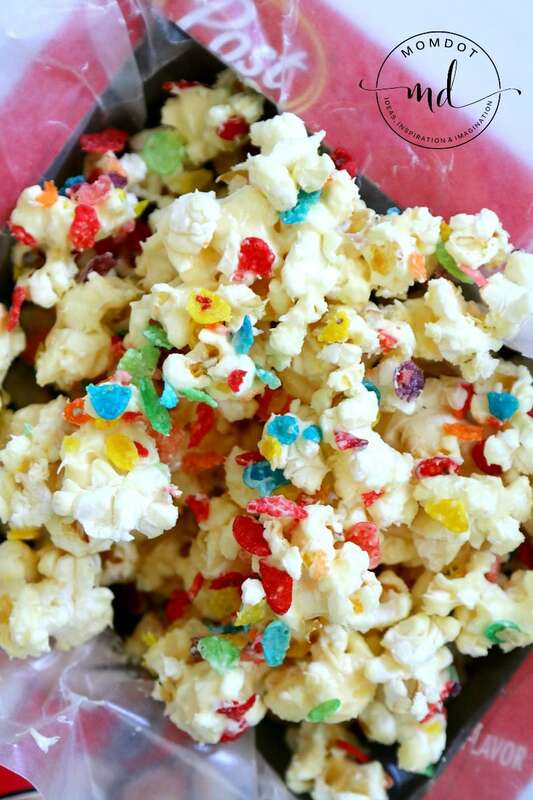 Make your own Movie Theater Snack Box! I love going to the movies, but its so darn expensive. And with 2 kids and 2 adults, we spend a lot more time at home renting movies but I still want it to feel special. 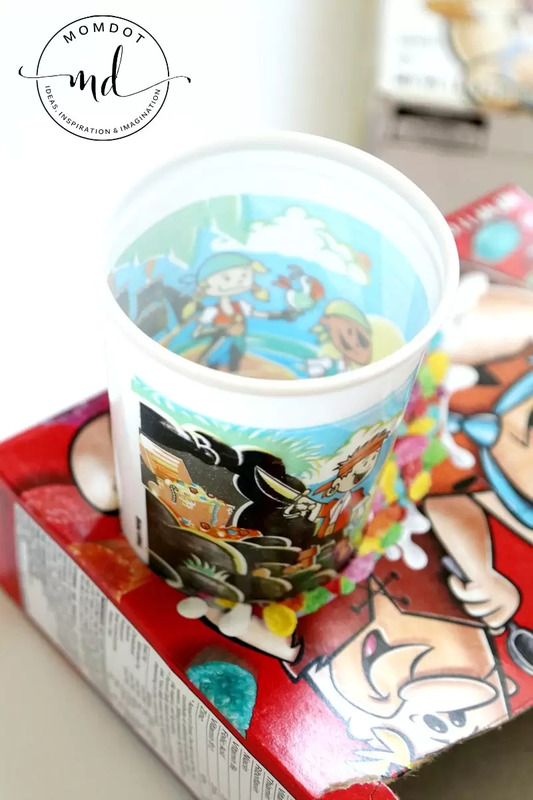 So today I am bringing you a super quick, super fun, and super awesome craft to make your own movie theater snack box. 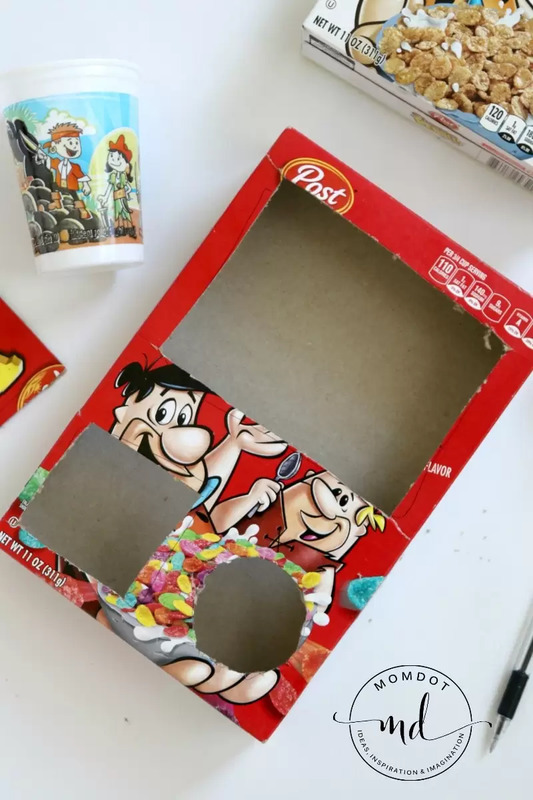 This snack box, which you can make from empty cereal boxes, is a perfect way for everyone to have a tray of snacks that stay on your lap over your couch. 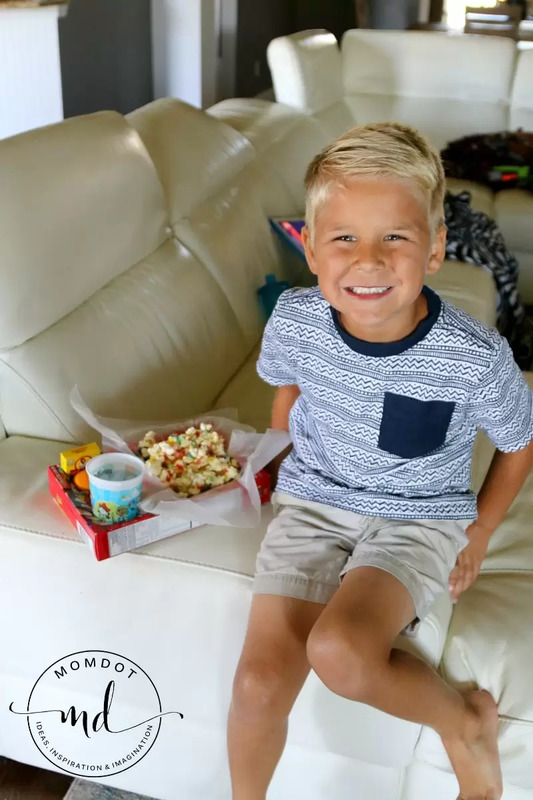 Easily adding your custom snacks and securing your drink, make sure you save all your empty boxes to create a home theater experience for family movie night! This post is in partnership with Hunter PR and MomDot is a compensated brand partner. Scroll below to see a printable version of this craft and a video! 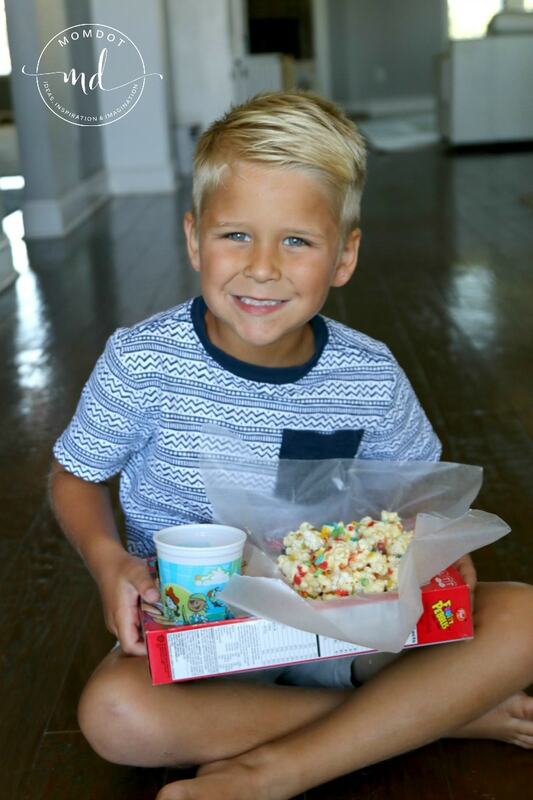 It’s so easy to make this 5 minute snack box that will hold your child’s popcorn and drink for your at home movie. First, trace the bottom of the child’s cup you plan on using with a pen. You can also trace boxes, one small for a piece of fruit or box of raisins, and one larger for popcorn. 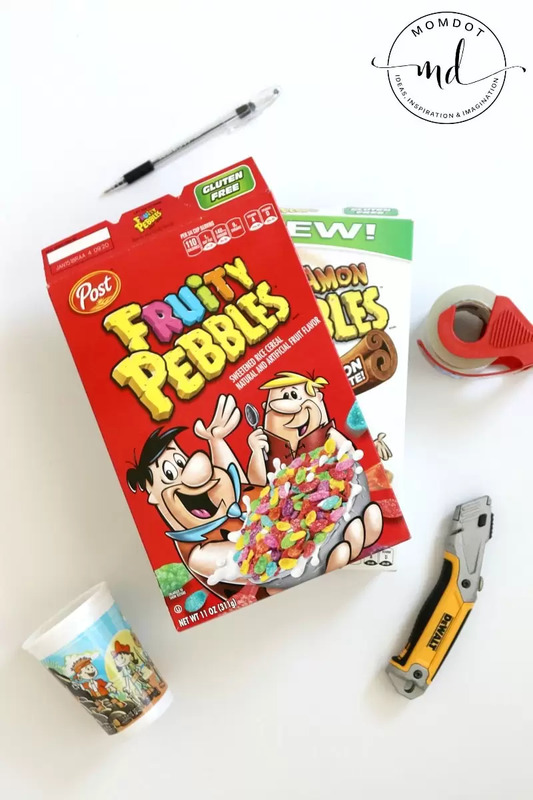 Now carefully cut out the lines with a razor blade knife . Watch our video below on how this snack tray is made! 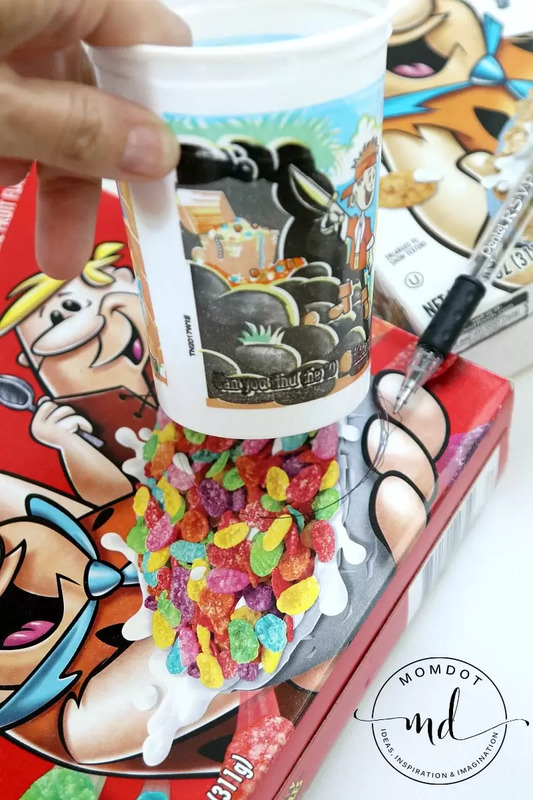 First, trace the bottom of the child's cup you plan on using with a pen. You can also trace boxes, one small for a piece of fruit or box of raisins, and one larger for popcorn. 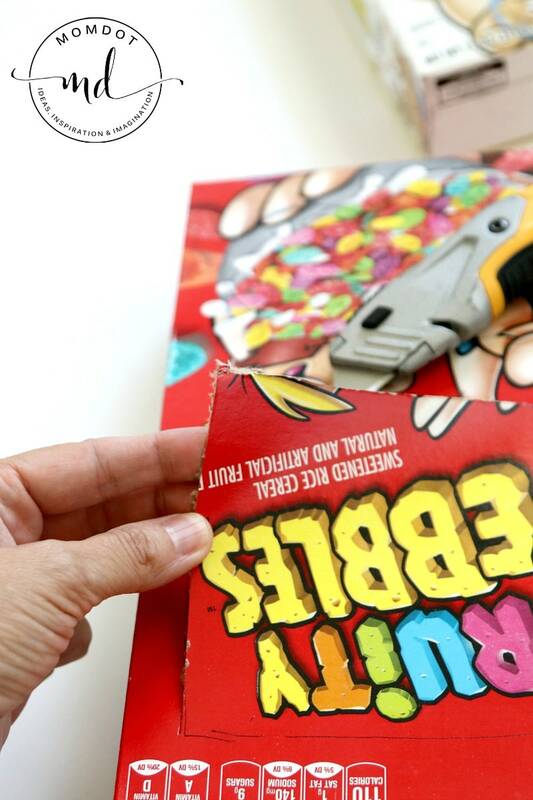 Now carefully cut out the lines with a razor blade knife.